According to a 2014 study by U.S.-based Pew Research, seniors still lag behind the rest of the adult population when it comes to tech adoption. Only 18 per cent of seniors surveyed said they would feel comfortable learning to use a smartphone or tablet on their own and 77 per cent of seniors said they would want someone to help teach them about the device. In this fast-paced age of technology, it can be hard for a senior to keep up and feel connected to the world. While the younger generation taps and clicks their way to connection, those in the older generation might not even think to ask for a lesson in how to use their new phone or tablet. Within the Menno Apartments community, there is a sense of interdependence and collaboration that fosters an environment of curiosity, and a willingness to ask for help. 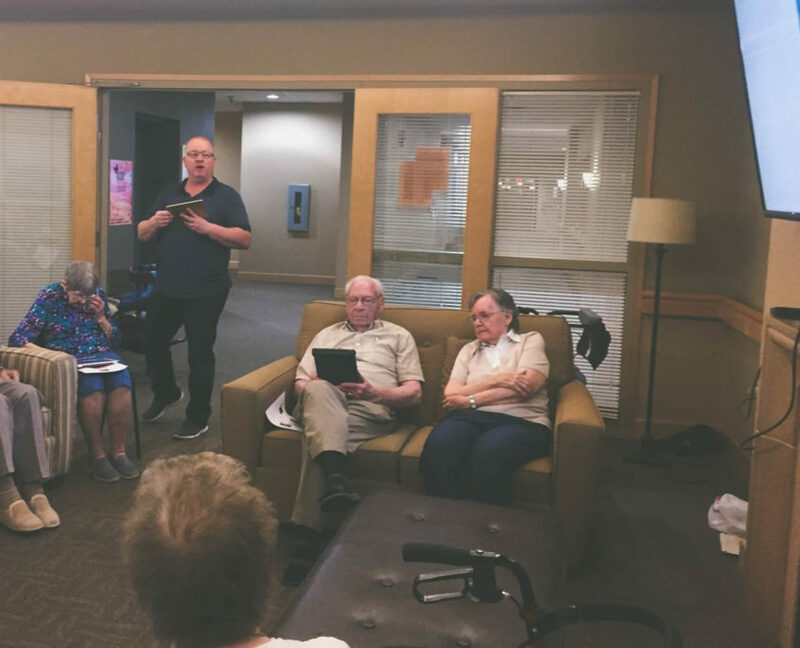 At a recent Community Meeting, a group of residents expressed a desire to learn to navigate the online world. 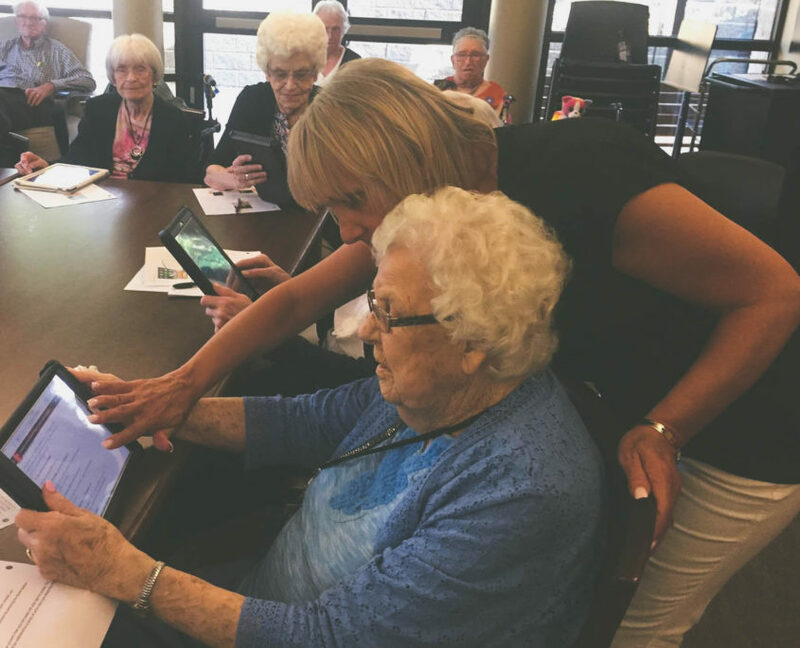 In response to this request, a generous donation was utilized to buy 12 new iPads, and a program has been launched to help residents learn the ins and outs of this new technology. 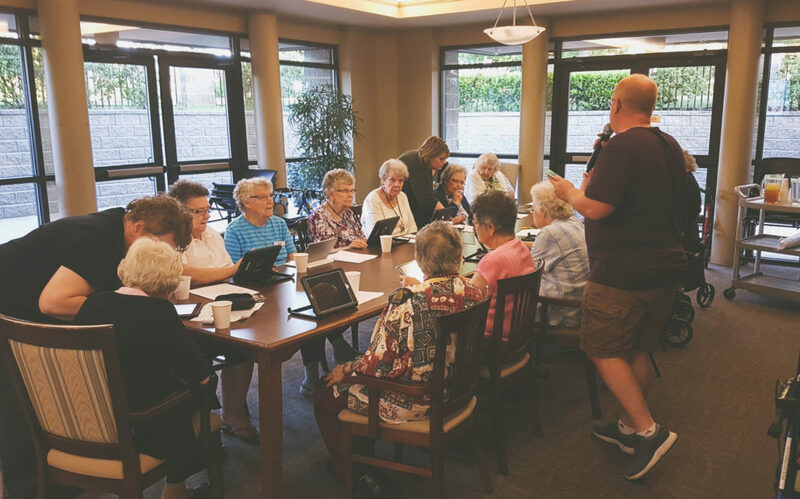 Tim Lewis, IT instructor from the Mennonite Educational Institute here in Abbotsford has volunteered his time and expertise to help a group of seniors at the Menno Apartments learn to master the iPad. The training program is six weeks long, with topics like hardware functions, internet security, installing and using apps, and a lesson in the world of social media. At the end of this six weeks, the recreation staff at the apartments will be available to continue providing assistance to those who are eager to learn how to connect to the internet and to the world outside Menno Place. In the first week of the program, there were over 25 seniors in attendance, some of them in their mid-nineties! 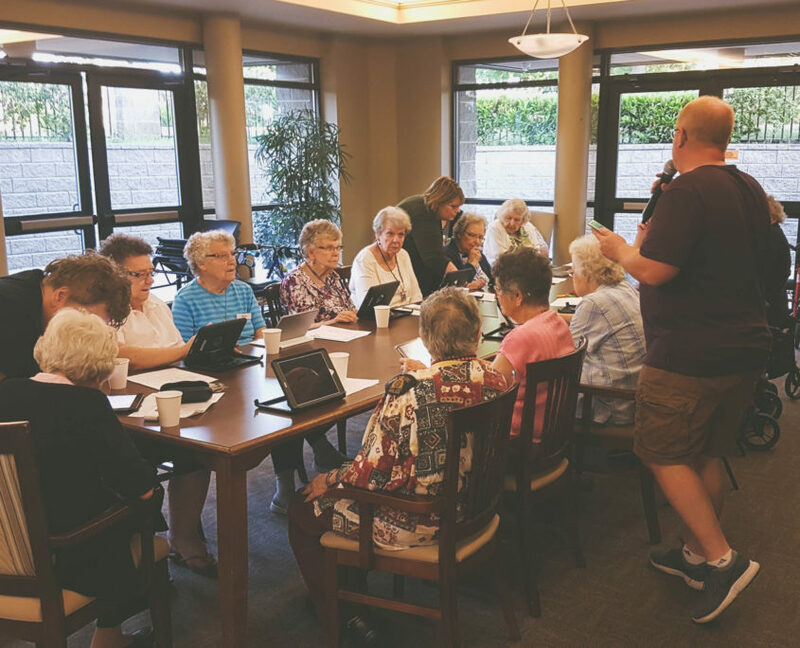 Learning to use apps like Skype and Good Earth, seniors have a chance to participate in community outside of their physical space. A program such as this helps to ensure that seniors will continue to learn, and promotes independence among the residents at Menno Apartments.